The designer is grateful to have skilled celebrity snipper Ken Paves on hand to get her ready for a busy day. Victoria Beckham has proved that even she’s not immune to a bad hair day. Yes, you really did read that right. Very shocking, we know. The designer took to Instagram yesterday morning to let fans know that the sticky climate in Singapore was causing all kinds of havoc with her usually picture-perfect locks. Naturally, the image caused quite a stir among followers, with many quick to leave a comment. 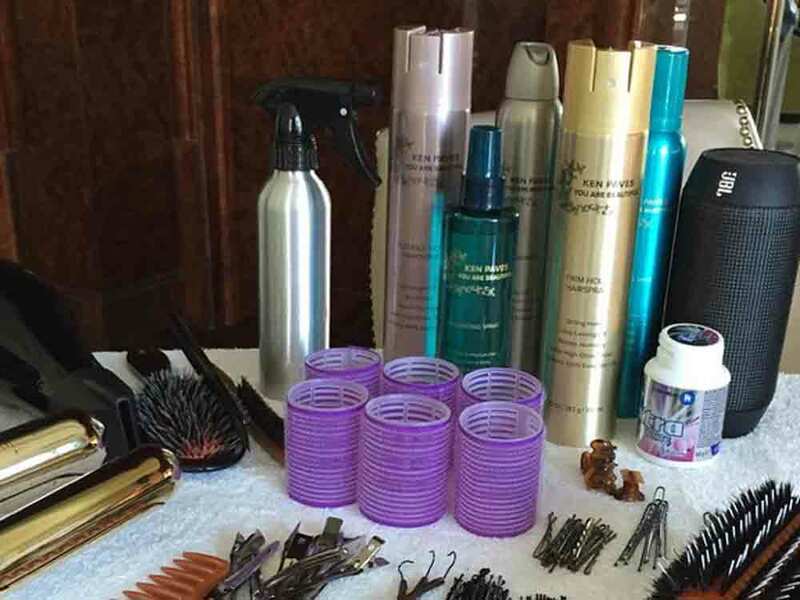 Armed with brushes, rollers, clips and various products, talented Ken – who also cuts Posh’s BFF Eva Longoria’s layers – eventually managed to get Victoria’s hair looking amazing. ‘We fought the frizz and we won! sleek and straight in Singapore x vb,’ she later captioned another shot of herself. The image sees Victoria sweeping mascara through her lashes while rocking a seriously smooth long and loose ‘do. She also displays her slender figure and chic sartorial style in a plunging black dress. With a busy day of promotional appearances ahead of her, it’s not hard to understand why the 41-year-old was keen to look her best. Judging by some snaps she’s posted already this morning, it seems as though star snipper Ken has worked out a winning formula for keeping Victoria’s mane in check. For as she poses wearing a sophisticated monochrome midi at a branch of a luxurious make-up store, David Beckham’s wife doesn’t have a single hair out of place. ‘Thank u to everyone at @Sephora Singapore! x vb @nailsinc @sephorasg #VVBxNAILSINC #VBTour,’ the elegant brunette stated.